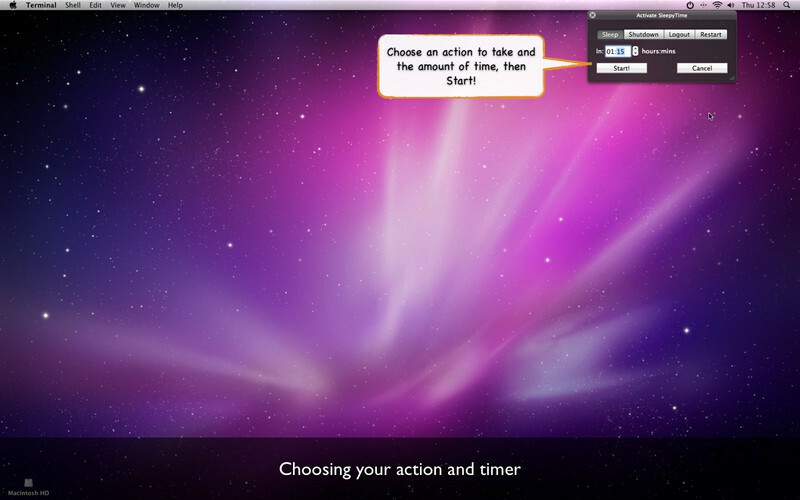 Automate your Mac's status using timers. Is there a better alternative to SleepyTimer? Is SleepyTimer really the best app in System category? 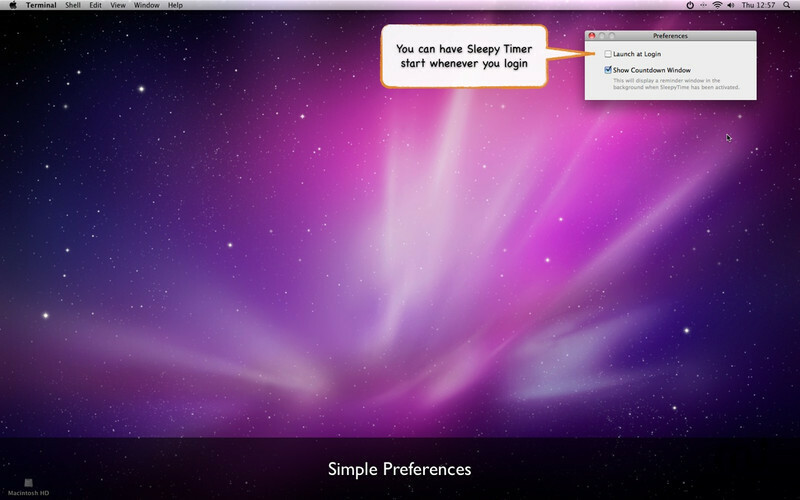 Will SleepyTimer work good on macOS 10.13.4? 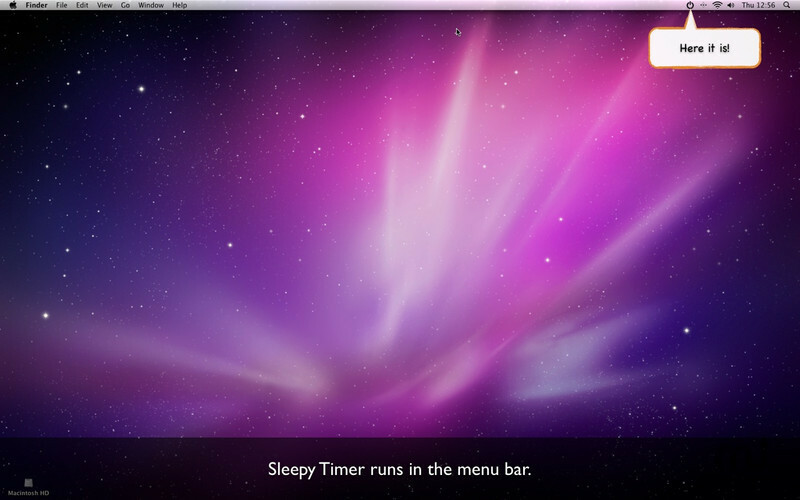 SleepyTimer is a simple, uncluttered menu bar application that allows you to set a timer and have your Mac go to Sleep, Shutdown, Restart or Log out when the timer runs out. Useful if you are doing a long download or listening to music and want your Mac to not stay on for the whole night. 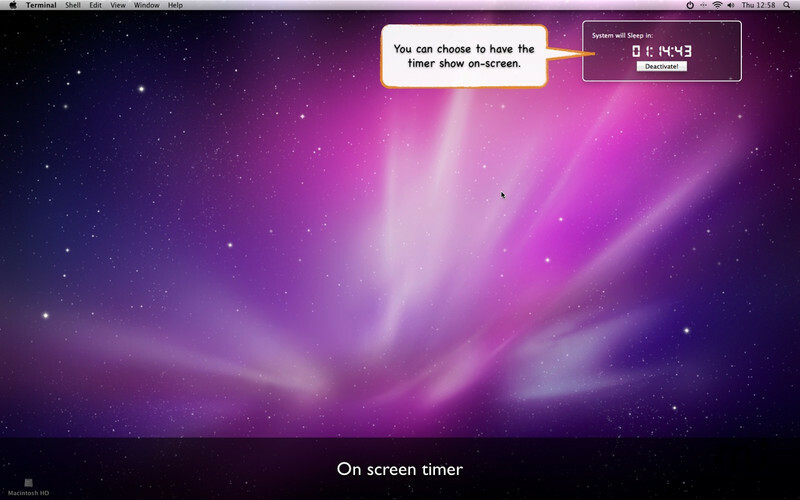 You can choose to have a window sit in the background of your screen with the countdown on it to remind you. 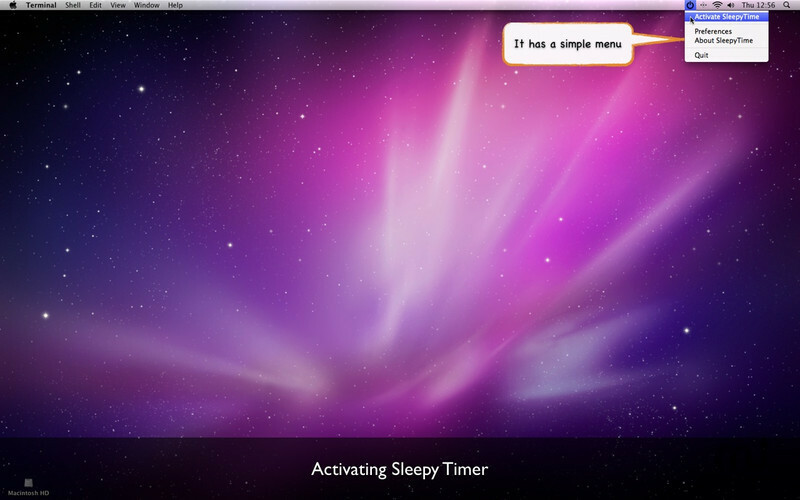 Can now specify the seconds as well as hours and minutes for time to sleep/shutdown etc. SleepyTimer needs a review. Be the first to review this app and get the discussion started! SleepyTimer needs a rating. Be the first to rate this app and get the discussion started!